El paraíso existe, un lugar privilegiado.. la over water villa algo increíble, el trato exquisito y siempre cuidando hasta el más mínimo detalle. Comida variada cada día que hemos estado. Volvería mañana mismo!!!! Dear joym2010, Sunny greetings from Komandoo! Thank you for taking the time to share this review of our Resort. We certainly appreciate the feedback of your stay with us. 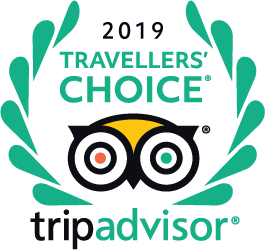 I am delighted that you have enjoyed our excellent service, our delicious cuisine and the comforts of our Jacuzzi Water Villas. I am confused about your comments regarding the All Inclusive package which includes a variety of soft drinks and alcoholic beverages. It would appear that you were, in fact, on a full board rate. I would advise you take this up with the travel agent. The information on our packages is shared with our guests upon arrival and is also available on our website. I am sorry to read that you were not able to participate in the parasailing activity. I will certainly look into this with our front office team. Once again, thank you for taking the time to share your Komandoo memories and feedback. Please do not hesitate to use our website or email our Reservations team for your next holiday. Warm regards, Owen Ealden, General Manager, Komandoo Island Resort & Spa. Jessica_reboucas publicó una foto el 23 abr. Can you eat in all the restaurants or bars of the Hotel with all inclusive pack? Yes most drinks are included in the all inclusive, including the mini bat in your room except wine! Buenas tardes, me gustaria saber si el personal habla Español? Gracias. SABZSFB hizo una pregunta el 14 abr. Would recommend US dollars, but Euro’s are also accepted. However, everything you spend can be added to your account which you can settle by card on departure. Liz V hizo una pregunta el 6 abr. Hello all. My husband and I will be on Komandoo mid May staying in a beach villa. Any recommendations as to whether Turtle or Coral villas are best. We like to have our sun beds on the beach in front of the villa but with no bushes etc near us but still have privacy ? Any other helpful tips would be great. Thank you. Coral provides sunset views, but check the season for the wind direction. No tips really as it will be absolutely lovely for you. "En esta isla hay una escuela de buceo de españoles"
"Elegir Jakuzi Beach Villa en el lado del amanecer (sunrise). Nosotros estuvimos en un Marlin y fue genial, discretos y tranquilos. Los Water Villa están un poco alejados y cuando hace un sol radiante no puedes ni andar por los pasillos que los conectan a tierra ...pero eso es cuestión de gustos." "Estuvimos tanto en cabaña en la playa como en overwater. La verdad es que esta última es una opción que no puedes encontrar en cualquier sitio y por ello merece la pena estar alguna noche, pero a nosotros nos gustó más la cabaña de la playa." "Las villas con Jacuzzi son fenomenales, por ejemplo tipo Dolphin Jazuzzi Beach-Villas"
"NOTA --> ¡Elegid villa con jacuzzi y orientada al este!"